After looking at my last post, I realized that I’m reading a lot of writing books. It must be the new year and the desire to write better. Except it might not be that as I’m always looking for ways to improve. 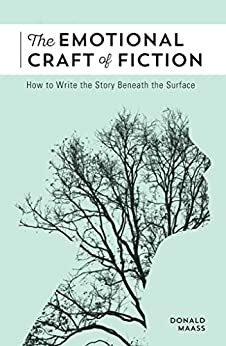 My latest read is Donald Maass’ The Emotional Craft Of Fiction: How To Write The Story Beneath The Surface. I had the pleasure of meeting him when I sat at his dinner table during my first writer’s conference. He’s a very nice man and I cold-pitched my first manuscript without realizing I had until he called me out on it. Needless to say I was embarrassed and elated after he requested fifty pages. Ultimately, he passed on it, and rightly so, but his letter is one I’ve kept over the years because he was so honest with me about why he rejected my manuscript. Two paragraphs of all the things he did not like with one sentence of what he liked. Did I cry? You bet, but his remarks were accurate. Isn’t 20/20 hindsight awesome. At the same conference, I also attended a workshop where he spoke about putting the fire in the fiction. It was helpful and insightful. Since then, I’ve always bought his books because I want his guidance still, even if it is only in the written form. His most recent one is about putting emotion in the story and I think anyone can benefit from it. Aren’t they wonderful? I’m sure if you read it, you’ll find even more helpful tips and writing exercises. As I type this the Olympics are in full swing and there is an uproar, rightly so, over the way the media is treating the female athletes. If you don’t know about it, it is in regards to their degrading comments that have nothing to do with the women’s athletic abilities. Sadly, this is not new for women. Not for women crime/mystery/thriller writers. Recently, an article in The Atlantic declared, rightly so, that women writers are dominating the crime/mystery/etc. market with books that have twisty, emotional characters that reek havoc on the supporting cast. The author, a male, admitted to reading and enjoying these type of novels. It’s nice to see that these writers are receiving some of the attention they deserve. I can only hope this continues and translates to better book contracts for women authors. I’m one of six kids in my family and I love all of my siblings, but that doesn’t mean everything is all rainbows and syrupy sweets between us. Even though we were raised by the same parental units, we’re all different people with our own idiosyncrasies and our own triggers. If you know me, you know I’m a neat freak and will stress out when things get too messy. Let me explain why I’m this way. There are four girls in my family and my mom constantly took in strays/extended family members to live with us. At one time, there were two sets of bunk beds in my bedroom and there were four of us who slept in there. We were all between the ages of fifteen and seventeen. (My parents were not wealthy and the bedroom wasn’t big enough for two people let alone the four of us.) Makeup, clothing, books, Walkmans, cassettes, and other stuff covered every surface of the place. There were times I couldn’t see a single thread of the khaki colored carpet. I remember kicking stuff out of the way so I could walk to my bed. My parents were constantly on us to clean up, but when you have that many people in such a small place, there isn’t enough room to properly store items. Flash forward to the present, I’m a minimalist decorator, constant purger, and consummate organizer. Some of this stems from that sleeping arrangement all those years ago. However, I have fond memories of that time as well. Times when we all disappeared into our hole to talk, laugh, eat secret treats, and prank each other. (I’m smiling at the memories flooding through my head as I type this.) And those moments have formed other characteristics in me too. I think about this a lot when I write my characters. I try to identify their quirks, the traits that make them different from the other characters, and why these characters feel/act a certain way. What do you use to infuse characters with traits? Something happened that made me want to punch the person responsible in the throat, but being that I’m a good member of society, I clenched my hands by my side instead and decided to explain why I write diverse characters. Because my heritage is mostly English and Swedish, we have very white looking children. This has caused some major issues with my children in school when other kids and unfortunately, adults say racist things thinking that they’re in the company of white people only. The really sad thing is that these people don’t consider themselves racist. Because of my children’s skin color and because society is not accepting of them, I write about children from mixed families. These stories are for them, their cousins who are Latina, Asian, and black, and for all the other mixed children out there who don’t feel they really belong anywhere. If you’re a writer who’s been in the trenches for awhile, you know the importance of the first page of your manuscript. It’s supposed to do a myriad of things like establish voice, create character presence, and give an inkling of the premise. It’s a lot of pressure for one page. Recently, I received a critique back from one of my CP’s (critique partners) and she provided insight into the first page, but more importantly she reacted to my first paragraph. She pointed out what she’d learned about the story and character just from reading the first six lines. I was disappointed to find out that all she knew was that the main character must have suffered some really bad experience. That was it, she didn’t know anything else. Not the tone of the manuscript. Not the mc’s gender. Not the premise of the book. Nothing. Never mind the rest of the first page, I’d failed in the first paragraph. So I thought it’d be fun to do First Paragraph Friday’s, where I critique the first paragraph of either an unpublished manuscript or a recently published novel. If you want to participate, send me the first paragraph of your first page to writedahl (at) yahoo (dot) com and I’ll give you feedback about what I learned from it. Then you can decide if that’s what you wanted your reader to learn. 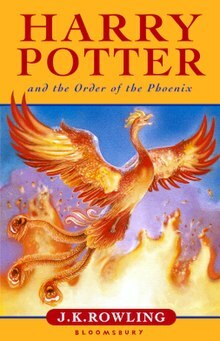 I think the author was all about establishing the tone and premise of the book. The first few sentences led me to believe that the story is going to be about murder and the FBI. The main character is knowledgeable enough to know the FBI’s procedures. S/he might even work in a less active way with the FBI. If you read the book, that’s exactly what it’s about; a teenage girl working for a clandestine FBI group and they solve cases. The one in this book is about several murders involving a serial killer. Did you arrive at the same conclusions as I did? If not, what did you learn? Here is a fantastic article about stereotypes and writing diverse characters. You really should check it out. Hi all. I know it’s been a long time since I posted, but I’ve been super busy writing and learning about the publishing/agenting business. I thought I’d share some of my knowledge. Today’s blog posts discusses what happens to your manuscript after you sign with the agent until it’s pitched to an editor. 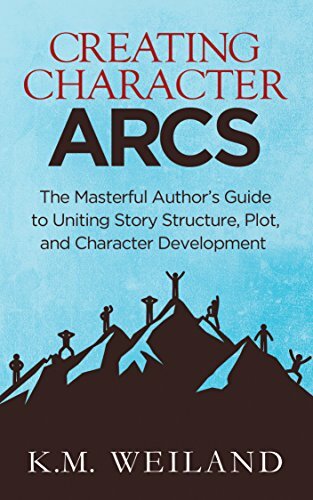 Once you agree to what you will change, you then go back to your manuscript and rewrite, cut more scenes, or add more scenes. Whatever is needed. Then your lucky agent rereads your manuscript and if s/he thinks it’s perfect then you are on to the next step. HOWEVER, you could receive another editorial letter detailing additional changes, which will require you to once again edit. This might even happen a third time until the manuscript is just right. Remember your agent isn’t trying to torture you, they want the manuscript to showcase your best work and best story. After you’ve finished editing, your agent writes a pitch letter. A pitch letter is like a query letter and oftentimes the agent will pick things out of your letter to use. (That’s why those dang things are so important.) In essence, the pitch letter entices an editor(s) to read the now polished manuscript. Now it’s your agent’s turn to wait to hear back and sometimes that can take f-o-r-e-v-e-r! If the editor(s) doesn’t love it, the agent will pitch to another small handful of editors. And so on, until hopefully one of the editors falls in love with the manuscript. What happens after that is another blog for another day!